It can also be described as dynamic observation, record and analysis of the structure and function of the foot, lower limb and body during walking, together with evaluation of static and/or dynamic plantar pressures at specific plantar sites during stance and motion. In layman’s terms it is the process of watching a person move, sometimes with the help of equipment, to measure and record how and why the body moves as it does. Gait analysis is generally used as part of a biomechanical examination to assess, plan, and treat individuals with conditions affecting their ability to walk. It is also commonly used in sports biomechanics to help athletes run more efficiently and to identify posture-related or movement-related problems in people with injuries. Here at AC Podiatry, gait analysis evaluation of the manner or style of walking, is usually done by observing the individual walking naturally in a straight line. The normal forward step consists of two phases: the stance phase, during which one leg and foot are bearing most or all of the body weight, and the swing phase, during which the foot is not touching the walking surface and the body weight is borne by the other leg and foot. In a complete two-step cycle both feet are in contact with the floor at the same time for about 25 percent of the time. This part of the cycle is called the double-support phase. In running there is no double-support phase, as only one foot is ever in contact with the ground, and the swing phase is replaced by a flight phase as both feet are off the ground at the same time (which is never the case when walking). An analysis of each component of the three phases of walking is an essential part of the diagnosis of various neurologic or musculoskeletal disorders and of understanding factors that may be contributing to a musculoskeletal injury. It is important to understand that walking and running mechanics are entirely different and one cannot simply transpose what is happening in one movement to the other. 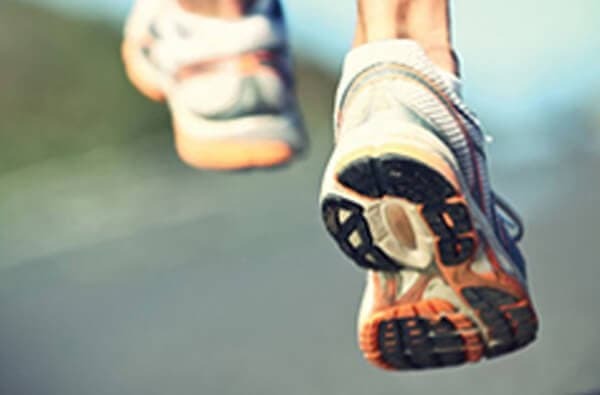 Our podiatry team understand this and in conjunction with a thorough biomechanical examination/assessment will work together with you to find the solution to your problem.